Location: It is situated to the southernmost of the monastery group of Wadi al-Natrun . It can be seen west from Cairo - Alexandri a desert highway at about 80 miles to Alexandria or 50 miles to Cairo. Who built it? 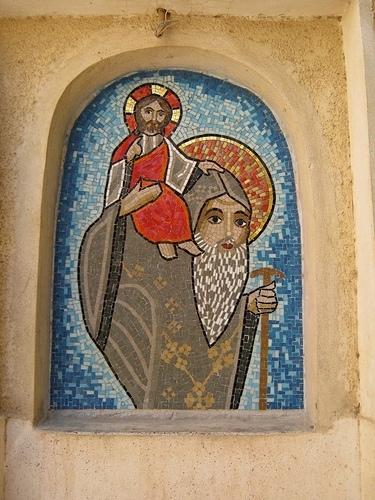 It was built by St. Makarius the Great in the 4th century who is the first monk to inhabit the Valley, so he is considered the father of the monks of Wadi El Natrun. Why was it built? This monastery was built to be a memorial place for St. Makarius who was buried in his beloved cave, where he received a divine revelation in the form of a dream to build a church. 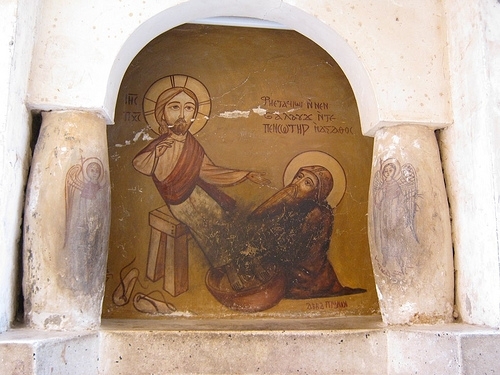 The monastery of Anba Makaryus, also called Deir Abu Magar, was probably the first monastery in the Wadi El-Natroun in the 6th century. 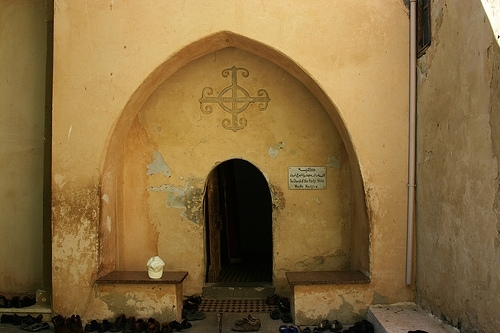 The Byzantine rulers mandated that the Coptic Patriarchs no longer reside in Alexandria and so Deir Abu Magar acquired a new importance as the seat of the Coptic church. The monastery has been excavating by a team from Leiden University in the Netherlands since 1995, It remained an important monastery throughout the ages as it is restored later in the 9th and 11th centuries. The monastery is said to be the richest in the Wadi Al Natrun. 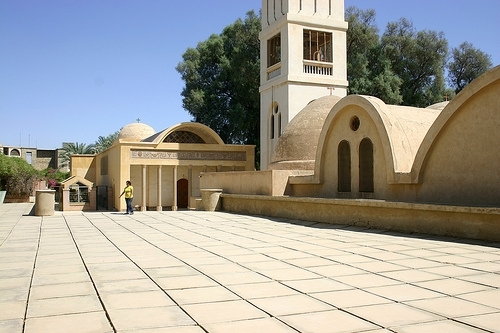 There is a coffin in the church of Abu Magar, which contains the relics of sixteen patriarchs of the Coptic church.There is also the relics of the forty nine martyrs killed by the Berbers and buried in the church of the Elders.